Welcome to Southern California's premier custom cabinet company offering quality custom cabinets for all your residential and commercial needs. 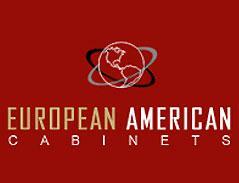 Unlike many of our competitors, we are a ONE STOP SHOP for all your cabinetry needs. EACC took all the heavy weight off of us they were one stop shop we got our custom made cabinets with all the pull-out drawers and soft closing system, we choose black galaxy granite top, and they even gave us a free staineless steel sink, there were no run arounds or phone transfers, just people that are ready to work. Everything was done the way it was talked about I had a great experiance and would recommand them to everyone.